Amazon's Beth Galetti '93 oversees one of the largest workforces in the tech industry. Unafraid of new challenges, she's also helping to launch a new health care venture. Scores of Amazon employees—many with dogs in tow—stream up the stairs and escalators and then through the wide second-floor lobby of the tech giant’s Doppler tower in downtown Seattle. It’s a Monday morning in June, and a World Cup match is playing on a large screen in one of the building’s common areas as employees head to their desks and workspaces. This is part of Amazon’s corporate headquarters, a cluster of buildings in the heart of downtown where dogs are aplenty, dress is casual and employees are encouraged to think big, dive deep, invent and simplify—all elements of the company’s 14 leadership principles. Along the blocks-long corporate campus, where more than 45,000 employees work, the “thinking big” part is apparent—from the Amazon Go convenience store (no checkout lines or cashiers), to the community banana stands (thousands of bananas are given out free each day as healthy snacks), to the giant metal-and-glass Spheres that opened in January (domed work areas that boast more than 40,000 plants and a 50-foot ficus tree nicknamed Rubi). Here in the Doppler building—so named as a nod to the internal codeword for the Amazon Echo voice-controlled speaker launched in 2014—Galetti keeps a corner office that’s small and utilitarian, a modest 10-by-8-foot space seven floors up from the lobby with a stand-up computer desk, small table and a few family photos. Though she and her team will soon move to a similar space in a nearby building, the office, as it is now with her name handwritten in marker on a whiteboard, belies the scope of Galetti’s influence at the company. In her senior leadership role, Galetti manages the recruitment, growth and development of Amazon’s 560,000-plus global workforce—one of the largest and fastest-growing workforces in the tech industry. She is currently the only woman on founder Jeff Bezos’ so-called S-team, a group of 19 senior executives, and has input into the company’s most important decisions. Earlier this year, when Amazon announced with fellow titans JPMorgan Chase and Berkshire Hathaway a new health care venture to address rising health care costs, Galetti was tapped to serve as Amazon’s leader for the partnership. That Galetti would soar to such heights professionally should not surprise anyone who knew her at Lehigh, where she was president of the Society of Women Engineers and a teaching assistant. Excelling in math, she had left high school in Maryland early—at age 16—to come to Lehigh, where she would pursue her degree in electrical engineering. After graduation, Galetti went on to work for MCI Telecommunications Corp., and then FedEx, where relatively early in her career, she took on the responsibility of managing software development for the company’s package tracking system. In 2013, she joined Amazon. She spoke with the Bulletin at Amazon headquarters in mid-June. You’ve been tasked with what seems to be an enormous challenge—a new health care partnership with JPMorgan CHASE and Berkshire Hathaway that would address health care for your U.S. employees, with the aim of improving employee satisfaction and reducing costs. Why take on such a daunting challenge? At Amazon, we believe in customer obsession—and thinking really big about tough problems. We know that this is a problem that’s really important to our employees and their families, and when the three CEOs—Warren Buffett of Berkshire Hathaway, Jamie Dimon of JPMorgan Chase, and Jeff Bezos of Amazon—got together, they talked about how we might partner to help our employees in this. So it is in the very, very early stages. The idea is, we’re setting this up as an independent not-for-profit company. The goal will be to improve employee satisfaction and employee health outcomes. We think by doing those two things, there’s an opportunity to potentially also reduce costs. By setting it up in that way, we’re hopeful that we may have an impact. We recognize that this is really, really hard. There are many people who have tried to invent in this space in the past. We hope to learn from them. We hope to partner with many, and we hope to bring the three companies’ support to this independent company and see what we can do. Editor’s note: The CEO of the new health care company, Dr. Atul Gawande, was announced in June. You graduated from Lehigh with a degree in electrical engineering in 1993, a year before Jeff Bezos founded Amazon. What had led you to Lehigh? I was interested in Lehigh because it had such a great reputation as an engineering school. When I was young, my strengths were in math and science, and I really wanted to do something hard. Electrical engineering sounded exciting to me. My older brother is an electrical engineer, and he would tell me a lot about what he was doing. It sounded exciting, and it sounded very hard and very math-aligned, and I thought maybe I would have some strengths to bring to it. So I started looking at different engineering colleges. I fell in love with Lehigh because of the campus. The day we drove up, my parents and I, it was a beautiful fall day, couldn’t have been any better. The leaves were changing on the trees. And we met with an admissions counselor.We took a tour around the campus, and I was sold. It was definitely where I wanted to go. I also had kind of a unique situation. The high school I went to tapped out at about Calculus 1, and because math had been my strong suit, I was able to complete that in my sophomore year. So I started attending math classes at [my local] community college and at the University of Maryland part-time. I visited Lehigh during the first half of my senior year, and I was telling the admissions counselor about what I was going through and how I was commuting to and from colleges and taking my classes, and I said, You know, I wish I could just go to college. He said, Well, would you come right away if you could? I would, I said. I’d love to go. I was 16 years old. I was dying to get out on my own. The counselor said, Let’s talk about that a little bit. And sure enough, we worked out a way that Lehigh accepted me, technically a high school dropout at the time [laughter]. We worked out something with Lehigh and my high school, where I started Lehigh in the second semester [of the 1989-1990 academic year], in what would have been my senior year of high school. How did you end up at Amazon? I know you worked at FedEx for many years. I started at FedEx in Colorado Springs. It was where we did software development for the package tracking systems. I started as a software developer but I pretty quickly moved into more project management roles. I had some great opportunities to lead teams and to support one of the senior leaders. He let me serve as a bit of a right-hand to him. He was a director of the company at the time, and when he retired they moved me into his job. So I moved from project manager to a director of software development for FedEx pretty quickly. I had been with the company just three years at the time. From there I started growing in roles in technology, and I was very open to trying anything and moving anywhere. I moved from the package tracking systems over to some international software development, and that opened doors for me to go to Canada. I actually did a job swap with a peer for six months. [When my boss retired] it opened a role at the next level, and that was the CIO [chief information officer] role supporting Latin America and Canada. I interviewed for that, and I think because I had taken that other experience, I was a strong candidate. I did that for a couple years and then the CIO role for Europe, the Middle East, India and Africa opened up, and I had the opportunity to move out to Brussels. I was learning something new every day. I did that for about 3½ years. I was an expat, and so [FedEx was] prepared to move me back to the U.S., and I wasn’t ready to leave Europe. I really wanted to stay. I was talking with my boss there, and he said, We’ve just had the head of airline operations and engineering move on. What would you think of taking that job? I said, I don’t really have the skills to run airline operations and engineering for the airline, but that sounds really exciting. [Company leaders] said, You’ve been with FedEx a long time, you know how we work, you’ve partnered and supported those groups by providing the technology for those groups. We think you should give it a try. I was really excited again to be given a wild opportunity. ... My first couple months on the job we had a volcano eruption in Iceland that shut down the entire air network, so I got a crash course in how you ground an air network, and then how you build out a trucking network, and then how you get the airplanes back in the air after all of that. I had an amazing team that taught me a lot and that withstood countless dumb questions from me. About three years into that, I groomed a successor, and they were tapping me and saying it was time to come back to the U.S.
Knowing that I was about to make such a big career change I kind of picked my head up. I had been at FedEx for 16 years, and I realized I didn’t have much of a network. I didn’t know many people outside of FedEx, and I was thinking, Maybe I’ll see if there’s anything else out there I should be looking at before I make this big move. I was very fortunate that Amazon gave me a call, and we started talking about opportunities in operations and transportation, the things that were most like the job I was currently doing. It was when Amazon was just beginning to get into transportation. I came out to Seattle, I did a big day-long interview for a role that I thought was in the operations division. At the end of the interview, the recruiter called me back and she said to me, What would you think of a role in HR? I said, Wow, you people at Amazon hire a lot of people. I think you’ve got my resume confused. [laughter] She said, Nope, we didn’t. We noticed that the time you lit up the most in the interviews was when you talked about developing people, leading large teams, growing organizations. Because of the way we run HR at Amazon, we have to hire literally hundreds of thousands of people each year. We’re developing people. We’re growing so fast, we think your skills in technology, engineering, and your passion for developing people make you a good fit for this role. They went on to say, What would you think of trying it? And if you don’t like it, we’ll move you back into operations. It was a deal I couldn’t refuse. It was a great opportunity. I started leading HR for worldwide operations and customer service. ... Then my boss retired, and I had the opportunity to move into leading HR for the company. I love working with this team. They’re the smartest people I’ve ever worked with in my career. I’m humbled by them every single day. I learn from them every single day. It seems you’re not afraid to take on new challenges. I like putting myself in places where I’m uncomfortable. I like learning all the time. I do bring a lot of energy to work. I get a lot of energy from work. I love my family and I love working, and all of that works really well together for me. And so I tend to be really, really high-energy. I have very high standards. I expect a lot of myself and of my team, and I’ve been very fortunate to have amazing teams over the years. I’m never afraid to just roll up my sleeves and get my hands dirty. I’m actually happier on the front lines working for customers and working with my team than I am sitting in my office or big meeting rooms. I understand your dad was a very influential figure throughout your career, that he instilled the belief in you that ‘anything is possible.’ Tell us about that. My dad was mostly an engineer and a sales support person through much of his career, but in his heart, he’s a teacher. When I was very young, he could do nothing with me except teach. He loved to build things, and he would build these Heathkits—electronics kits, which probably all of us are really too young to remember. He would build televisions from scratch, calculators from scratch and all different things. I remember being in his workshop with him, and I desperately wanted to push at all the buttons on the calculator. I was probably 4 or 5 years old. He said, You can’t push them until you can do on paper what the buttons do in the calculator. The calculator could add, subtract, multiply, divide, do squares and square roots, and work in Base 2, Base 16. So I diligently worked side-by-side with him, because he’s an amazing teacher and he was so much fun in the way he taught. He would teach me how to do each one of those [calculations], and then I would get to push the button on the calculator and test myself. His passion for learning and teaching were huge influences on me. And from a very young age, he just instilled in me that the sky’s the limit. If I would say, Maybe I want to start with this kind of a degree, he’d ask, Will you then go for your Ph.D.? Or I’d say, Maybe I’m going to go to this company, and he’d say, Will you be the CEO? ... He always had me thinking bigger. To this day he does. Every time I talk to him he says, Well, what are you doing and where are you going to take it next? He’s been an awesome influence. He’s also been a wonderful influence on my two daughters, teaching them as well. Let’s talk about your time at Lehigh. If I remember correctly, I think there were three women electrical engineering majors at the time ... I had a great experience at Lehigh. I love the fact that I was able to do the math and science courses, which were more my comfort zone, but I also liked that I had the opportunity to take several liberal arts classes as well. To be honest, the English classes and the writing classes I got were super important with what I do today. At Amazon we do a lot of writing, and had I not developed both the engineering skills and the writing skills, I think I would have been less prepared for my future. 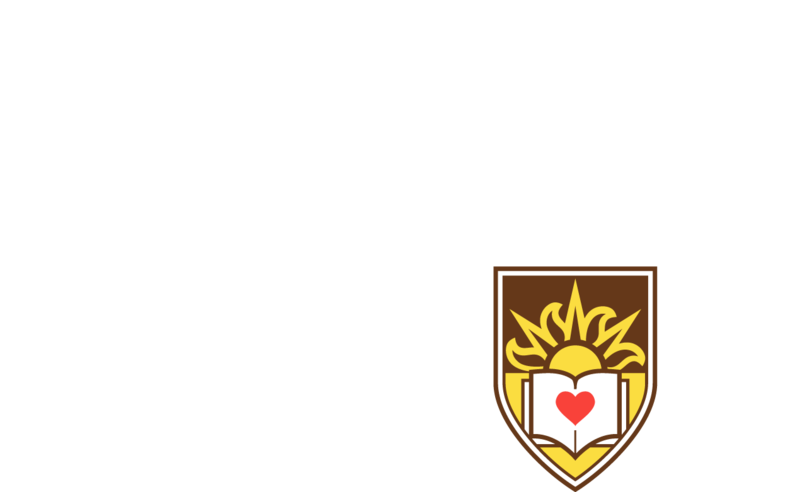 How did Lehigh shape you? The biggest skill I learned was problem-solving, being able to apply the challenge of problem-solving to so many different environments, whether it was my circuit design class, my medical devices class, my physics class, my chemistry class. Going into a field that was more male-dominated, certainly back then and I think continues in the tech field ... it was a great experience to work alongside my male colleagues and many male professors. That just built a confidence in me. Lehigh. Some people would say, Oh, isn’t that more difficult? It really wasn’t. If anything, most of the men remembered our names. [laughter] We stood out a little bit. The professors definitely remembered our names. But once you got in there and did your labs and assignments, you were all just working together. Through your varied roles, what have you learned about what it takes to lead? I’ve had my share of mistakes and failures and definitely learned from all of them—I probably learned more from the mistakes than from when things have gone well. I’ve learned, first of all, perseverance is critical. When something’s hard, keep at it. Don’t be afraid to ask for help. There are a lot of difficult things that we do in the work environment, much like in the school environment. People will help you, and they want to help you. Here at Amazon all of us are trying to do the best thing for our customers ... and so I’ve never found a time where I can’t find someone to help me if I need it. And when you do make mistakes, own it, learn from it, really examine it and understand where you could have done something differently, and don’t be afraid to talk about it. I find that speaking openly about what I’m struggling with or when I’ve made a mistake earns trust. As the person responsible for managing the recruitment, growth and development of Amazon’s 560,000-plus worldwide employees, what qualities do you look for in hiring? We have a set of leadership principles at Amazon. There’s 14 of them, which sounds like a ton. They’re part of what we do when we talk about every day. When we hire people, the leadership principles are part of the cheat sheet, what we look for in people. There’s not a priority order to them, except that the most important thing, I think you can safely say at Amazon, is that we’re customer-obsessed. Everything we do starts with the customer and works backwards. We look for leaders and employees who can share that customer obsession, who are looking to do things because they want to serve the customer. Then we look for people who are able to think big, really think big ideas, think beyond what’s ever been done. We want employees to come here and invent. We hire builders. We know that when we hire people at Amazon, we’re looking for people to do things that have never been done before, and therefore it’s not always the specific skills or experiences they have, it’s more about the way they think that we’re interested in. We engage in really energetic dialogue. ... Once we do make a decision, we expect everyone to disagree and commit, really commit wholly, to that decision. What I find super interesting at Amazon is, it’s not uncommon that the most senior leader is the person who disagrees and commits. You might have a junior person on the team who says, Hey, I don’t think this is a good idea. I think we should go this other direction. And the senior leader is saying, No, my experience tells me we should do this. They’ll debate for awhile. It’s not unusual for the senior leader to realize that maybe the more junior person on the team might be closer to the customer, that there’s a good chance that person might actually have more insight. What advice do you have for people who want to advance or launch a career? I encourage people to always seek out and explore things that make you uncomfortable. It’s important to constantly learn and grow. It’s one of the leadership principles at Amazon we talked about: Learn and Be Curious. Our world changes so fast, and particularly if you’re in tech, things change so fast. There’s no single skill that you’re learning through a classroom or even on the job that’s necessarily still going to be relevant in a few years.